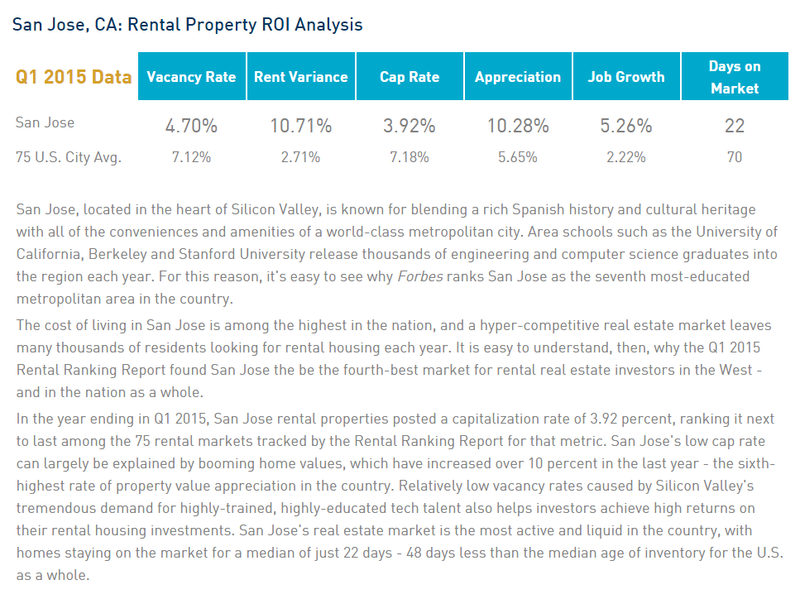 San Jose median rental price appreciation over the last year shot up 10.71%. Combined with a variety of other performance indicators such as job growth, days on market, and vacancy rates, this makes San Jose the fourth best market in the United States for real estate investment. First on the list is San Francisco, followed by Seattle and Denver. Portland rounds out the top five. The overall prices have risen for the housing and the city seems to be in drought. The median prices have also seen a boom and it has become difficult for the first time home buyers to afford a decent dwelling for them.